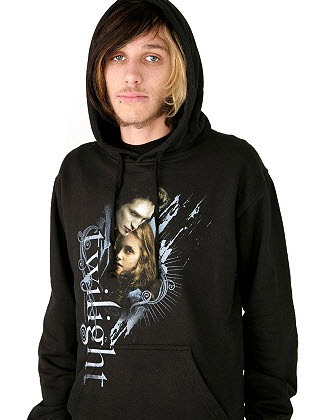 Oh Jimmy.. Mommy is a Twilight fan. 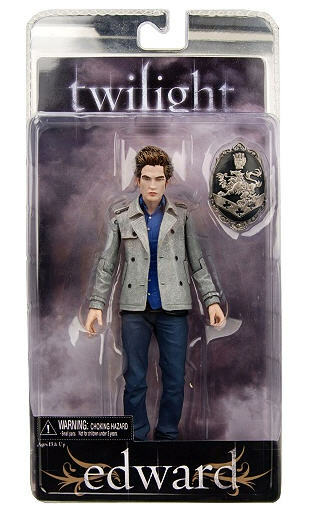 That means Mommy’s Christmas tree will have an ornament with a scared-virgin version of Bella (in a quite beautifully replicated wedding dress, I might add) with a figurine of Edward who really looks like he wants a human snack. Someday you’ll understand little Jimmy. 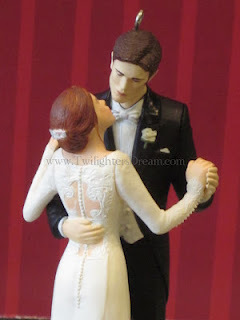 Someday in 25 years when you meet the woman of your dreams, Twilight is going to make a come back– and your girl will be lost staring at a figurine dangling from the branches of a pine some Christmas morning. Oh we FOUND IT at The Twilight Lexicon! 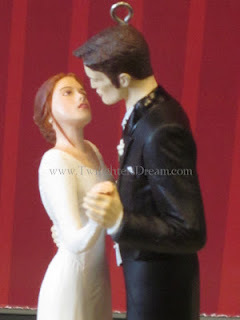 Where there is a link to even more pictures (I think) if you really can’t wait until you can get this yourself at Hallmark. ALSO: TN is coming soon, guys….. dun Dun dunnnnnn! Oh It’s that time of Year! 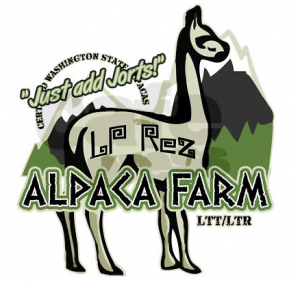 New LTT T-shirts! 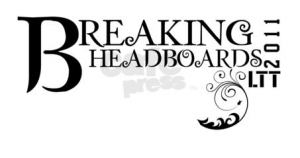 Breaking Headboards: If they do it onscreen, does it mean it’s real? In case the newest designs are too couture for you, but you really want something new for this year’s events, might I suggest a few pieces from past collections that are destined to be classics in any girls (or mans or child’s) wardrobe? 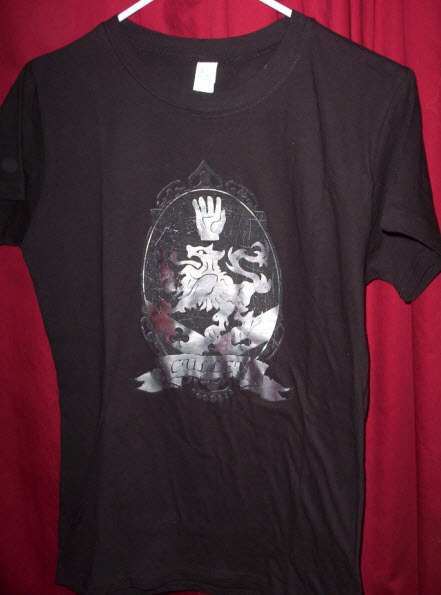 And how about a little something to wear to the Pattinson Family Reunion? With all these options we are certain you will be the most stylish fan at your midnight showing, hottest host at your premiere party with friends, best looking mom showing up to a PTA meeting mere hours before the movie releases or least-creepy looking Holy Trinity stalker in LA in a month! PS: Thanks to the ever amazing @Snowwhitedriftd for the AWESOME new designs!!! PS: It was posted later in the day yesterday, but don’t you dare miss Moon’s hilarious LTT letter! Hot Tip: Occasionally hear an ad auto-playing? Mute works on the videos! 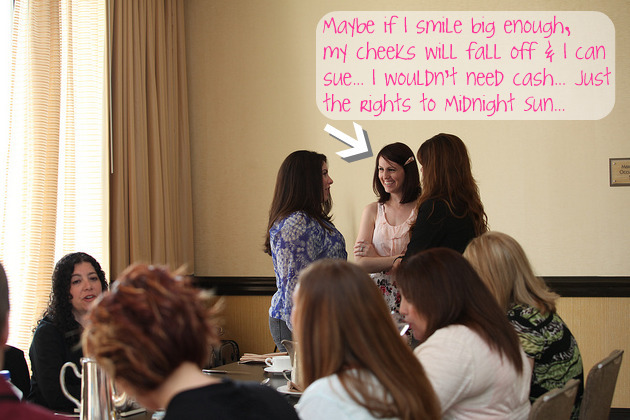 I must apologize for my lack of preparedness last week when I was on vacation- I didn’t have a story ready for you regaling the tales from our interview with Stephenie Meyer for Friday- I fail. But this week I prepared ahead! Yesterday morning on my 1 hour + drive into work, I re-listened to part of our interview and picked out some fun stories and audio we wanted to share. And let me tell you IT IS AMAZING- we’re gonna tell you what Stephenie would write were she to write a sequel AND who she fangirls over..
Alas, I have to apologize again. 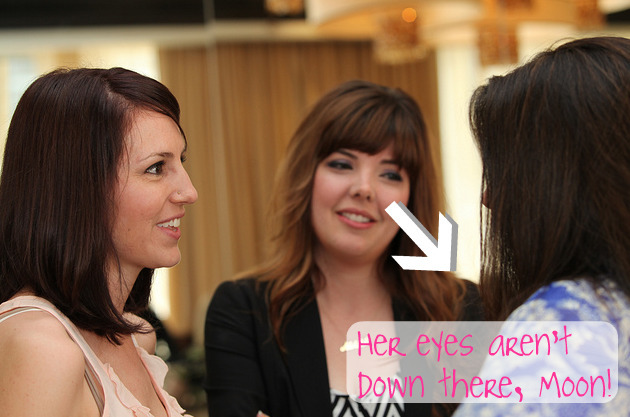 See…. we have to get all audio we post approved first- because Stephenie told us top secret things like Rob’s phone #, where she gets her telephonic lens for photographing the Robsten love nest and just how many headboards she and Nacho* broke on their Isle Esme honeymoon (Sandals, Jamaica 1997 baby!) Apparently those stories were for our ears only. Haha Suckas’ Anyway, because I submitted the audio yesterday, and apparently the world doesn’t work on my last minute time frame, I don’t have all the clips I wanted to share. HOWEVER, next week WILL rule, Promise- we even have an anecdote about when Stephenie snuck in to see New Moon in the theater! Happy Friday! 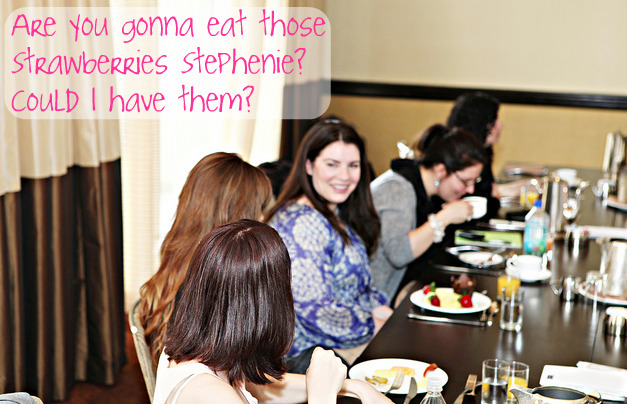 Catch up with all the other Stephenie Meyer Interview Recaps you may have missed! *Just because ever since we found out she reads LTT I’ve felt weird and never said anything- I feel we need to explain why we refer to Stephenie’s husband as “Nacho.” One day, Moon wrote about him and lovingly referred to him as that. I thought it was intentional, but it was not. It was an honest, hilarious mistake. And ever since that’s just become his name. We love Nacho. Mmmm Nachos…. Damn, I’m hungry. 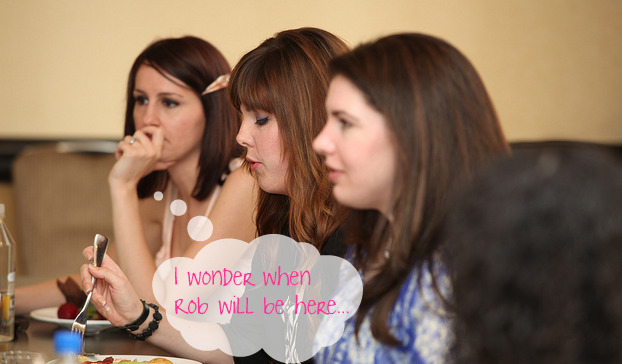 And you thought you weren’t going to enter our totally rad Twi-alentine’s Day contest?! Not after you see the amazing prizes we’ve rustled up! A stunning stamped silver jewelry piece from the talented Jen @ Shinebeads (her Etsy store) WANT! 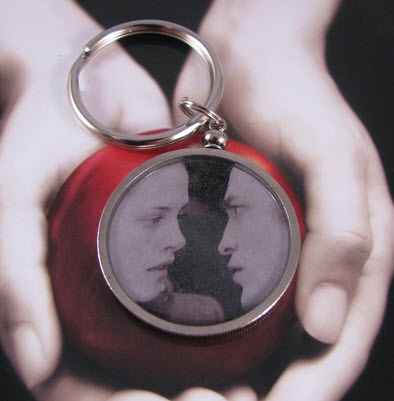 Talk about classy Twilight inspired jewelry! 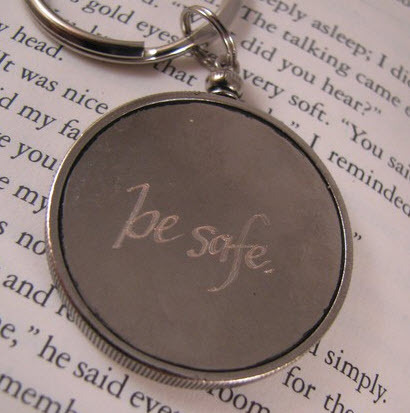 Edward and Bella keychain inscribed with Edward’s note to Bella “Be Safe.” Perfect for all those lead foots and/or Cullen family members! 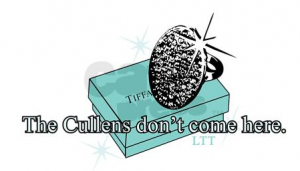 Made by Wendy @ Couple More Hours/ Wendy’s Etsy Hey, Twi-merch folks are you taking notes? The “Teeny Bopper” care package courtesy of us LTT/LTR girls! 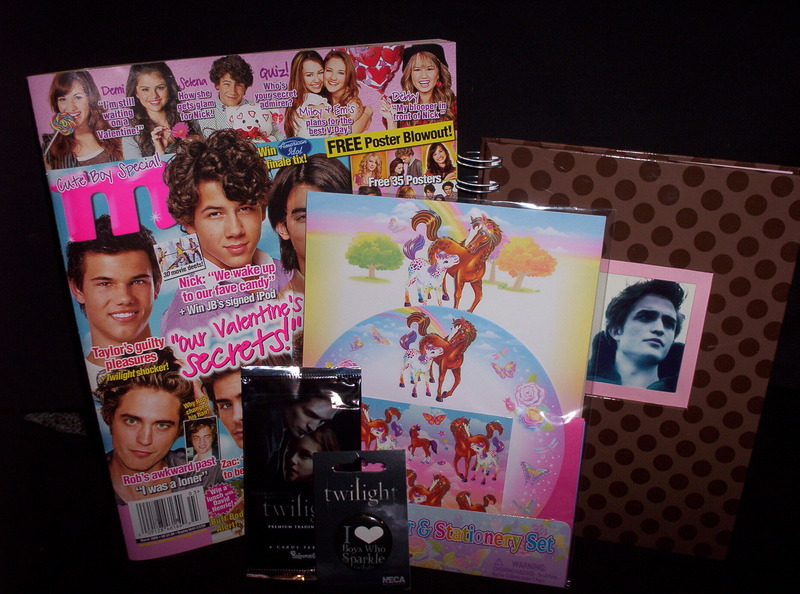 An “M” magazine complete with post-it note comments from me (moon), Twilight trading cards, Twilight buttons, Lisa Frank UNICORN stationary to write you very own Letters on and an Edward/Rob journal to write all your deepest darkest Rob related secrets! Seriously, wait till you see the posters in this mag! HA! Wow, I wish I could win! I’m gonna have to put some orders in with these talented girls because these make perfect gifts for all the Twilight gals in my life ME! It’s not too late to enter!!! 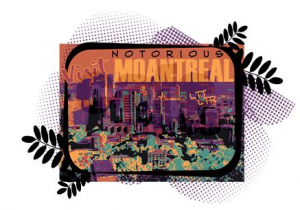 We’ll be accepting submissions up till Thursday, February 12th at 6PM PST. Now get to creating! Read more info about our Twialentine’s Day contest! HUGE HUGE HUGE thanks and gratitude and awe for all the wonderful gals who donated and created something special for YOU folks here at LTR and LTT. Give them a e-round of applause! All I have to say is: YOU’RE WELCOME! While companies like Microsoft and Yahoo are downsizing and laying off thousands by the day you’re still going strong profiting off the obsession of freaks like me and all you gals here. Oh and my mom. Who knew selling crap like bandaids and buttons and $6.00 patches could keep a mall store afloat? where do they get the toolbags who model this stuff? But you’re proving them wrong! Now if only you could sell the official calendar you might single-handedly save our entire economy. Are you listening Warren Buffet and Barack Obama? Get the Hot Topic folks in your financial cabinet and watch our economy bounce back. Now THAT’S change we can believe in! Don’t wanna waste your money on more crap for Valentine’s Day? Why don’t you make something instead?! That’s right, enter the Twi-alentine’s Day Contest!! NOW! Prizes being announced shortly!